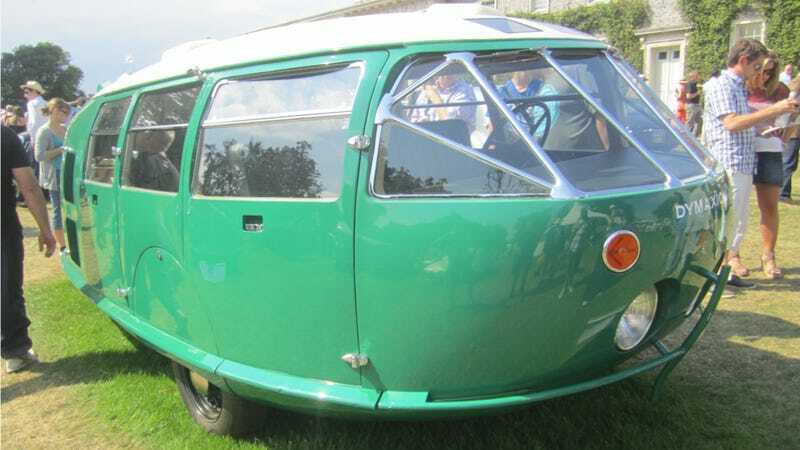 We're huge fans of the crazy Dymaxion Car here at Jalopnik. It was so far ahead of its time before such a thing was even a phrase, and sadly only one survives. Now, the blueprints for this amazing vehicle have been found in a house in Dudley, Massachusetts. It was 20 feet long, could seat 11 passengers, got 30 miles per gallon, had only three wheels, and could top 90 miles per hour. Not bad, considering it was built in 1933. The Dymaxion (its name itself was a mashup of Dynamic Maximum Tension) was conceived by architect Buckminster Fuller, who created the geodesic dome and a number of other architectural innovations. The blueprints themselves are now going up for auction and are expected to fetch between $20,000 and $30,000, according to the SFGate. Of the three examples built, one was destroyed in an accident, one was presumed scrapped in the 1950s, and one survives, though a replica was built a few years ago. The remaining original Dymaxion sits in a museum and is essentially priceless, but for the price of a new Subaru you can get all the original plans to build your own. If you do buy the plans, and build your own, shoot me an email. I want to drive it.